Douglas Coupland and Will Ferguson seem to be battling it out to be the next generation's Pierre Berton (of course, Ferguson has the lead, having won the award and all). Both men are adding much to the whole Canadian identity discussion, having surprising success since the topic seems to have grown passe in some circles. But it shouldn't be surprising- both men write Canada in a non-threatening light. History as pop-culture, or pop-culture as history. Depending on who's book you're reading, the distinction gets blurred. 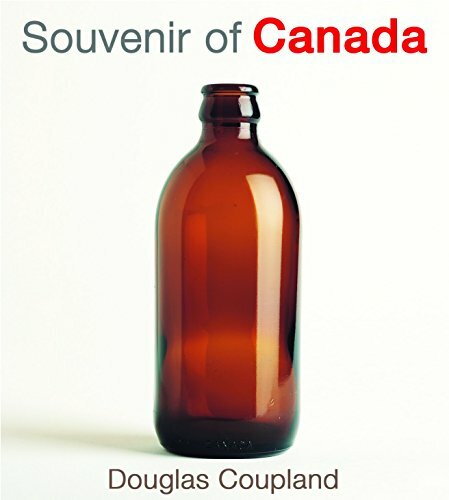 Souvenir of Canada is your typical coffee-table book. Full of glossy photos and short pieces that are loosely related but you won't miss anything if you flick through and read it in random order or with long intervals in between. In terms of the glossy photos, they're an interesting mish-mash of Canadian (or Canadian linked) products and souvenirs. The still life collages are somewhere between Andy Warhol paintings and covers of old Paul Kropp books. Certainly interesting- especially for the nostalgic type. One particular photo and bit caught my attention more than the others so far. There's a discussion on cheese's importance in Canada, with special emphasis on Kraft Dinner. Coupland acknowledges that Kraft Dinner isn't just found in Canada, but for some reason has taken up a special role here, nearly iconic status. He compares it with Heinz canned spaghetti in England. In an accompanying picture of food stuffs, there's bacon, Campbell's French Canadian Soup and tucked off to the side, a bag of Purity Hard Bread. Now I don't know how many non-Newfoundlanders out there know what Purity Hard Bread is, but I hope it suffices to say that soaked it becomes "brewis" and has played a pretty big role in the Newfoundland diet throughout the years. But like Kraft Dinner to Canada, Newfoundland has a few non-Newfoundland products that it has also claimed for some reason: Maple Leaf Vienna Sausages, Farmer's Meatballs, Carnation Evaporated Milk and pineapple Crush to name but a few. I know, I know. Some people out there are saying, "But you can get that in Alberta, too!" and that might (or might not)be true, but for some reason they're MORE common here- trust me. I have no idea why. And by the way- you can't get Old Dutch potato chips here, just so you know. I know this food of Newfoundland conversation is a bit of a sidetrack from Coupland's book, but I imagine it's just the sort of breezy "Who are we?" sort of discussion that he was aiming for. As far as I'm concerned, the conversations started by this book are what makes it a good coffee table book. PS. Did you know that Coupland has an exhibit at The Rooms until September? Geez. No, I didn't know that. Frig, I need to move to a city. Soon. You also can't get Old Dutch chips in Ontario (or at least you couldn't when I lived there) as the Hostess rep would buy up all the Old Dutch product at stores and turf it. At least that's the urban legend. And I agree - I think Douglas C will like the way this conversation is turning. Speaking of Ontario. My wife is from there and she's been frustrated on one more than one summer day that you can't get banana Popsicles in Newfoundland. If you ask me they don't sound too great. Banana Pudding Pops on the other hand...hey, wait a sec, do those still exist? I loved Souvenier of Canada. 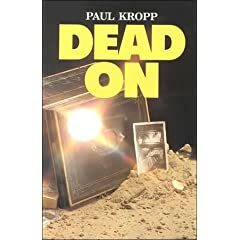 I didn't know what to expect, if it was going to be ironic social commentary or serious essays, and it turned out to be both, which stayed with me for months. The essay about US/Can relations and "why don't they invade? Cause they don't have to" really stuck with me. I think Coupland is an important Canadian voice (also helped by his worldwide fame)and I love that he has embraced his Canadianness in recent years. I found your blog through Barbara B. I don't get to talk books near enough..I'll be back. I don't think I have ever had a banana popsicle. Actually I am pretty sure I haven't, as I had to take banana-flavoured antibiotic once as a kid and haven't been able to tolerate fake banana favouring ever since. Obviously your wife did not have the same experience. And if I may be so bold, I was thinking that Jacquie and John should meet, as you are both such literati. I love how the internet works. Jacquie, welcome! Excuse the mess, if I had known company was coming I would have tidied up. Seriously though, I'm always glad to see someone new. I just hope I read enough books that you might have read so that it doesn't get too boring for you. Barbara, Often in Newfoundland, other provinces are collectively known as "The Mainland" and it's sometimes hard not to view them as all alike. Thanks for that reminder that Ontario and Alberta aren't the same. Except for the posts, I'm a very lazy blogger. I've been planning for quite a while now to add links and a search by author/ book tool. In the meantime, if you were interested in seeing other specific books or author comments, you can always use the "Search this blog" thingy at the top. And feel free to comment on archived posts as well, I'll be notified by email when someone does and so the coversations can hopefully continue on past posts. I'm looking forward to the new organization/search features. "I had to take banana-flavoured antibiotic once as a kid and haven't been able to tolerate fake banana favouring ever since. Barbara - Ah, so I'm not the only one who found that stuff disgusting! Turned me off bananas for years!